Rethinking how we care for our national forests. The Manti-La Sal National Forest developed its last forest plan more than 30 years ago, and the revision process that began in 2016 is long overdue. 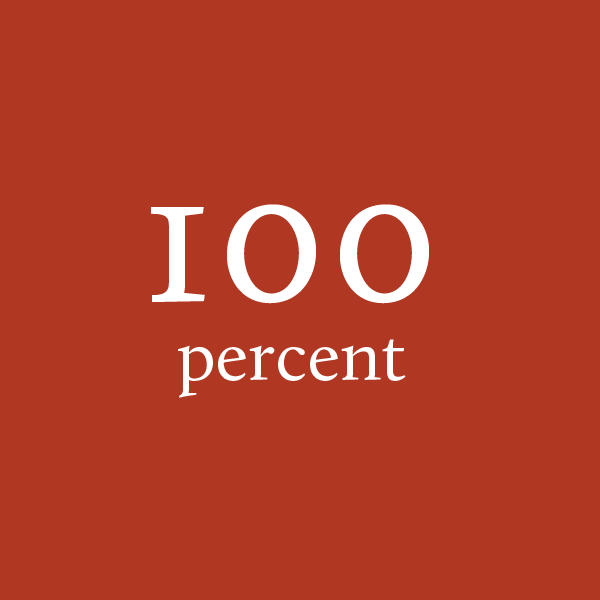 Since the last plan took effect in 1986, recreational uses of the forest have mushroomed, along with our collective knowledge about global warming, livestock grazing impacts, invasive species, and pollinator decline. Now that revision of the Manti-La Sal plan is underway, the Trust and partner organizations, scientists, and citizens are assembling data and policies to develop a conservation-based proposal for the new forest plan. We need to rethink how we manage the Manti-La Sal National Forest — for our nation, for future generations, and for the amazing, native species who can’t speak for themselves. 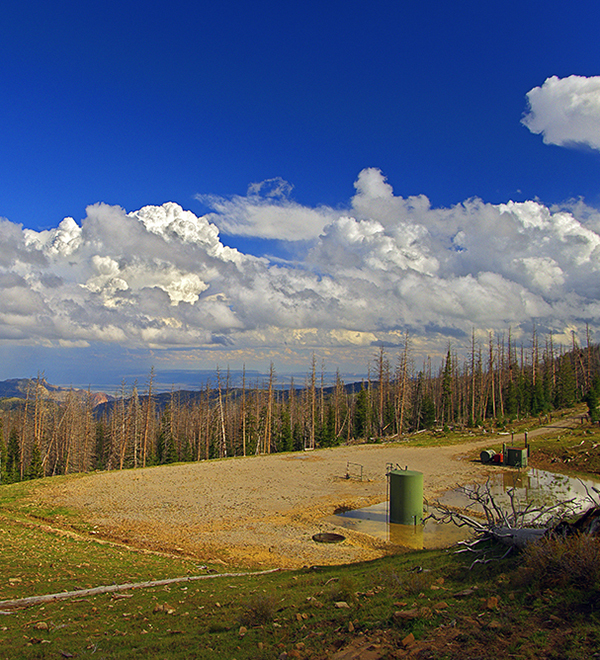 A forest plan guides how the Forest Service manages a national forest. It gives direction on how to balance water, plants, wildlife, wilderness, recreation, grazing, mining, tree-cutting, and fire in a sustainable manner to provide for current and future generations. 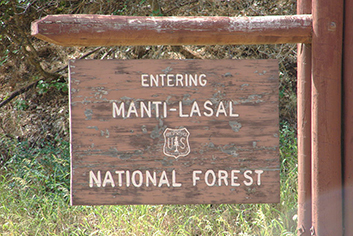 The Manti-La Sal National Forest issues its current forest plan. 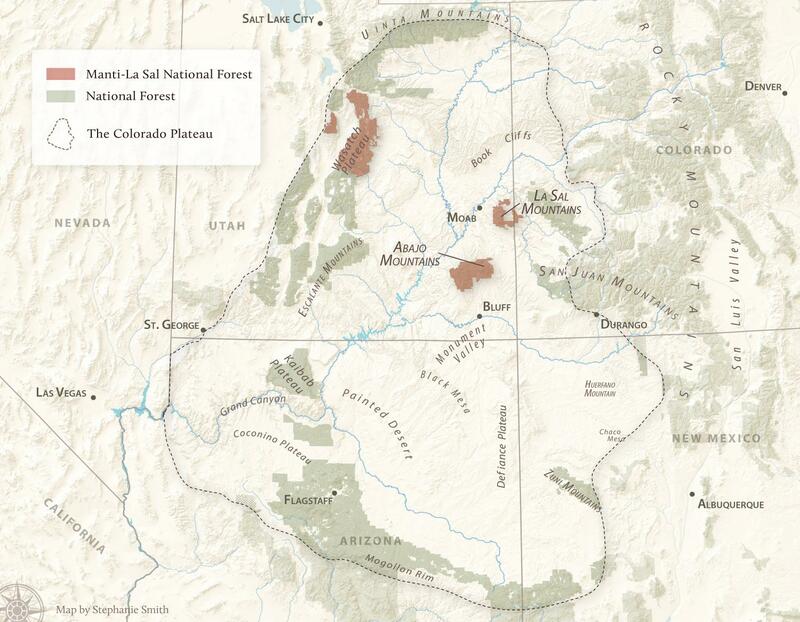 The current Manti-La Sal National Forest (MLSNF) Plan was issued 31 years ago. 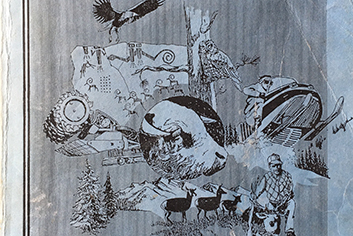 It's interesting in 2017 to consider the cover of the 1986 Manti-La Sal National Forest Plan. Note that cattle grazing occupied the center of the cover. Left center appears to be a longwall coal mining shearer. Climate change wasn't mentioned in the plan. The bald eagle (upper left) was Endangered in 1986; it was delisted in 2011. The owl appears to be a Mexican spotted owl, which was not listed as Threatened until 1993. 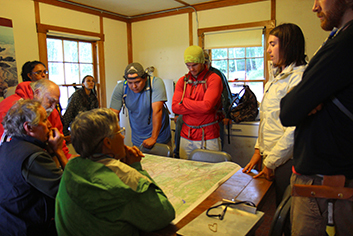 The Forest Service completes new rules for forest planning. In late 2000, President Clinton revised the 1982 rules for developing forest plans. In mid-2001, President Bush suspended those rules and issued new ones in 2005. These were overturned in federal court in 2007. Bush issued similar rules in 2008, which were overturned by court in 2009. The current forest planning rules were completed after extensive public meetings and public comment in 2012. 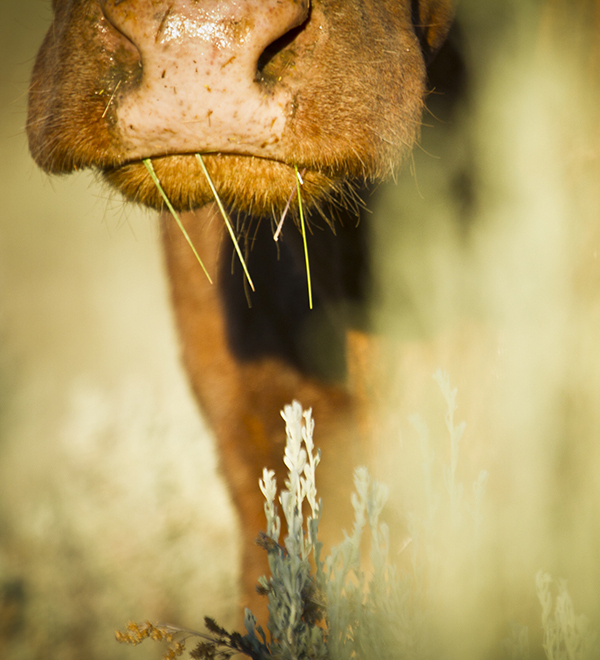 Three forests in southern Utah consider amending grazing management in their forest plans. 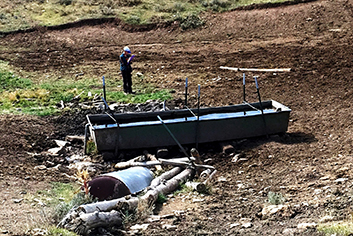 Grazing management direction had not changed on Dixie, Fishlake, and Manti-La Sal National Forests since 1986. In August 2014, these three forests published an impressively candid initial assessment of their grazing impact concerns and asked for public comment as to whether the forest plans should amend their plans for grazing. However, several Utah counties and the Utah state government pressured the forests to halt this process. The Manti-La Sal National Forest begins its forest plan revision process. On July 29, 2016, the Manti-La Sal National Forest published a notice in the Federal Register that they would begin a four-year forest plan revision with assessment of conditions on the forest. The forest established a website for their forest plan process. The Grand Canyon Trust submitted over 100 assessment documents by December 2016, all stored in a literature repository hosted by Great Old Broads for Wilderness. The forest may issue its draft assessment in January 2017. The Manti-La Sal National Forest publishes its "Preliminary Need to Change The Forest Plan." 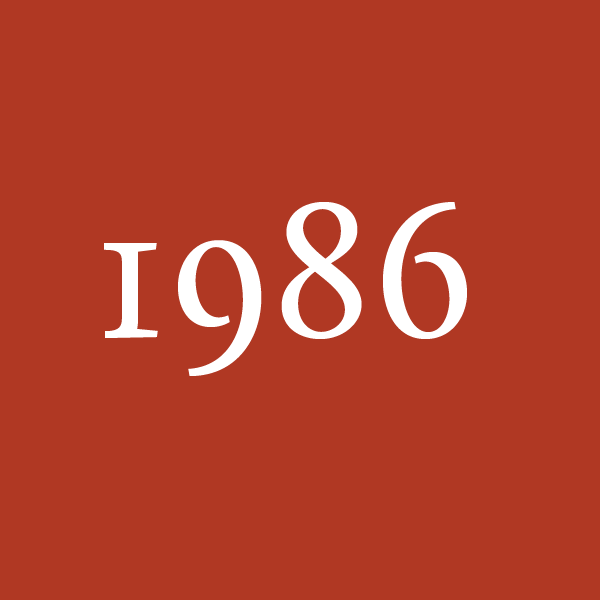 After 31 years, what should change? Before opening its formal plan revision process, the Manti-La Sal National Forest set forth its vision of what the Forest thought should change from the 1986 Forest Plan. In April 2018, the Trust and eight other conservation organizations submitted our more ambitious "Needs for Change", and jumped ahead to offer what desired conditions we felt should guide the forest in its new plan. 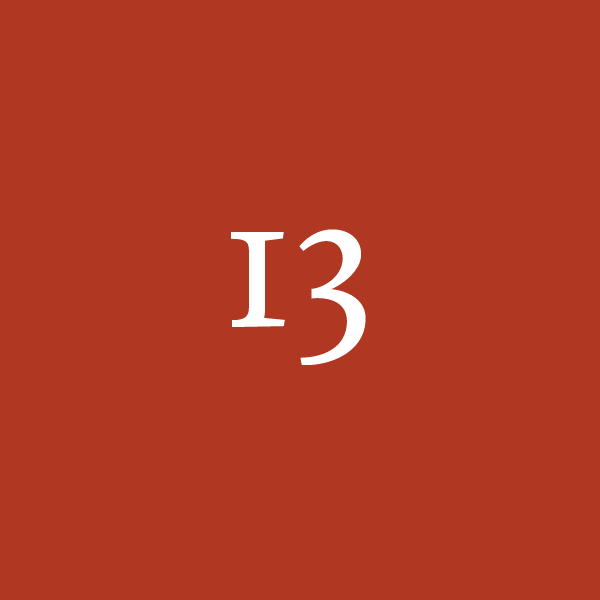 The forest issues its draft of desired conditions and objectives. The draft desired conditions differed from those submitted by the Trust and others in April 2018. In response, we are developing draft goals, objectives, standards, and guidelines that will achieve the desired conditions we had originally submitted. The Manti-La Sal National Forest plans to start the formal NEPA process. By late April or early May 2019, the forest plans to start a formal “scoping process” to prepare an Environmental Impact Statement for its forest plan revision under the National Environmental Policy Act. At this point, the forest will put forward its current idea of a plan. 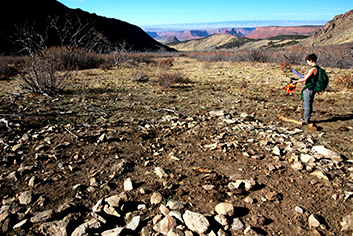 The Grand Canyon Trust and several other conservation organizations will present a joint, comprehensive alternative proposal for the forest plan revision. Extraction: where, how much, and why? Water, coal, oil, gas, uranium, wood, food plants, livestock forage, big game forage. 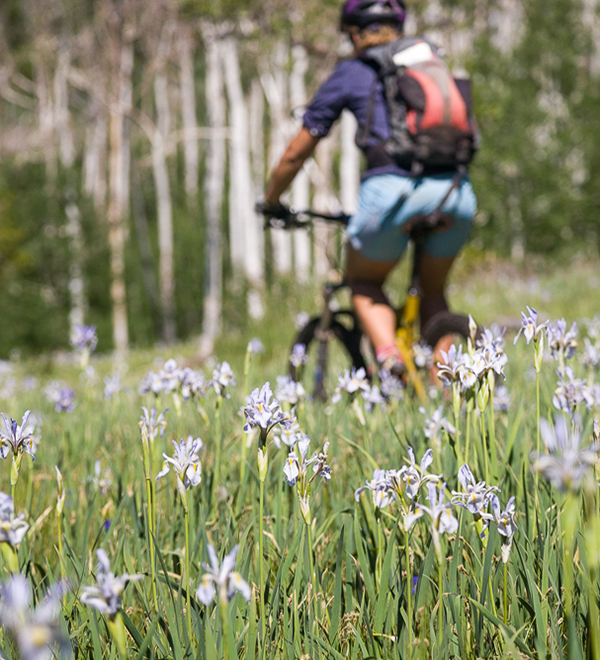 The Manti-La Sal National Forest contains much that different people want to take for different reasons. The plan revision is an opportunity to consider the big picture of how much we should be taking from the forest versus what we need to leave for the forest, particularly in light of global warming. With increasing numbers of hikers, birdwatchers, anglers, bikers, off-road vehicle users, RV campers, hunters, climbers, and private landowners, there is the potential that the forest won’t have much left for itself. The forest plan revision process gives us the opportunity to think big about wilderness, balance, ecosystems, solitude, cultural resources, and the species that make the forest treasured by all of us. Currently, 100 percent of the Manti-La Sal is open for grazing. These are active cattle and domestic sheep allotments, with the one, rare alpine area being grazed by exotic mountain goats. 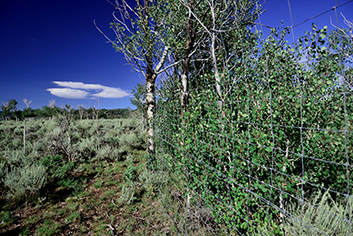 In 2014, the Forest Service published a candid assessment of grazing problems on the Manti-La Sal, Fishlake, and Dixie national forests. 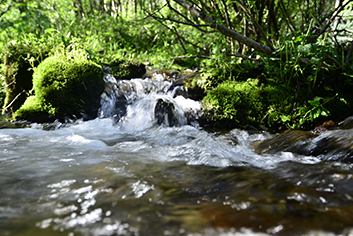 The report noted trampled stream banks, excessive browsing, and depleted native plant diversity among the top problems. It also identified where changes are needed in the 1986 forest plans. We will propose better grazing management, and a better balance between grazed and non-grazed lands. By providing the best available science on global warming, water, pollinators, and other elements, we can develop a proposal to guide 21st century stewardship of the Manti-La Sal National Forest. Over the past 13 years, our staff and volunteers have gathered on-ground data that can help inform the forest plan revision process. The Trust and partners will be providing the Forest Service with our collective scientific information and photos, along with relevant science published elsewhere. Later in the process, we will assess the scientific accuracy of the Forest Service comparison of our proposal with others in the Draft and Final Environmental Impact Statements. It’s your national forest; it’s a finite resource facing the brunt of global warming; and it needs your attention, care, and influence. Revising the Manti-La Sal National Forest plan will take at least four years, and the Forest Service wants to involve you in the process. We encourage you to speak at public meetings; submit your observations and comments; and advocate for use, restoration, and protection of the Manti-La Sal National Forest. We'll be following the revision process every step of the way, offering you our best ideas of how you can make sure the new forest plan is a good one—ecologically, socially, and economically. With our partners, we’ll be developing a proposal for the Manti-La Sal National Forest to be analyzed—alongside several other alternatives—for its comparative ecological, social, and economic consequences. Our partner, the Great Old Broads for Wilderness, has created a repository for documents that are being submitted to the Manti-La Sal National Forest planning team for use in revising the plan. At this site, you will find over 100 documents, including on-site monitoring and research that the Grand Canyon Trust and others have undertaken on the forest, summaries of Manti-La Sal National Forest data that reveal issues of concern, and scientific research that is relevant to rethinking how the Manti-La Sal National Forest should be managed. 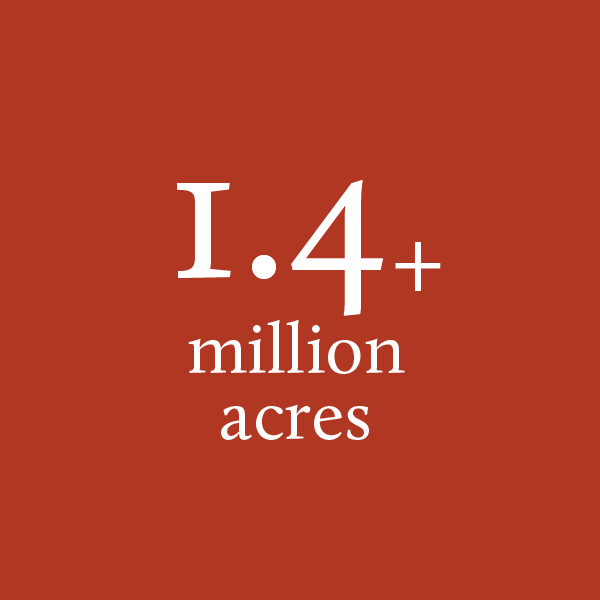 Use this site to gain important perspective on how much is at stake in this forest plan revision.